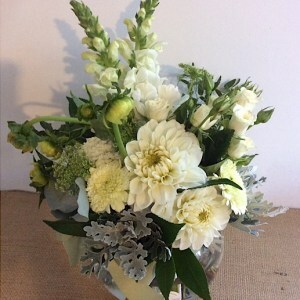 Vase arrangements are made into a quality glass vase. 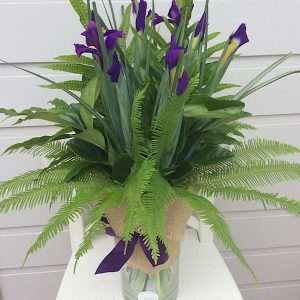 They require little care other than adding more water daily. 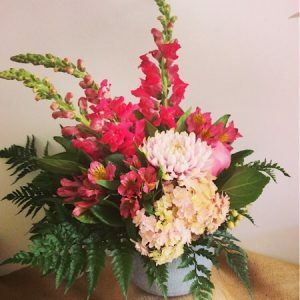 The possibilities are endless for vase arrangements as each vase dictates the overall shape and size of the floral arrangement. 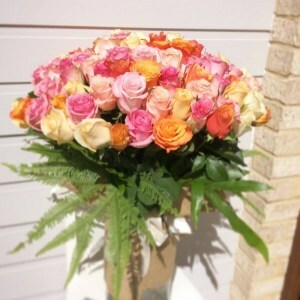 They are a good choice if the recipient is in hospital or at work. 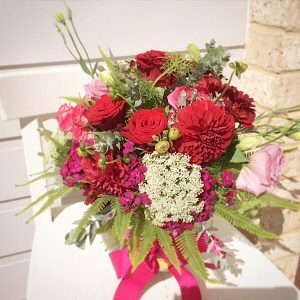 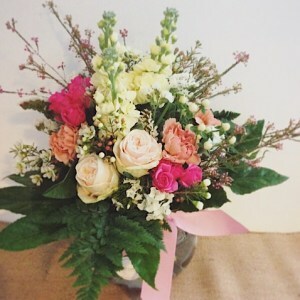 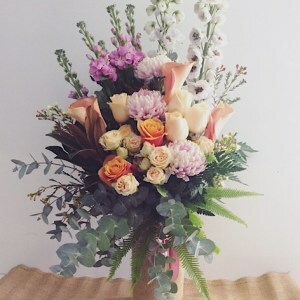 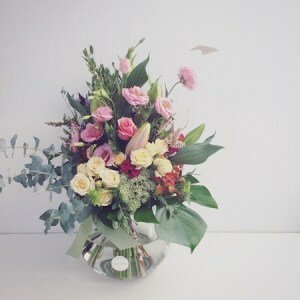 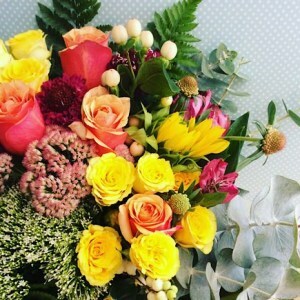 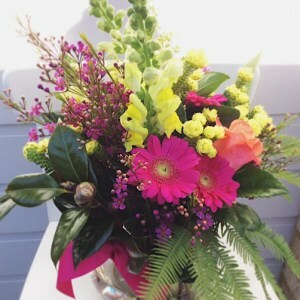 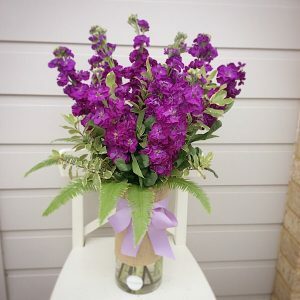 Arranging free-style into a vase allows florists the opportunity to be creative and the end result is often more natural looking than a conventional arrangement. 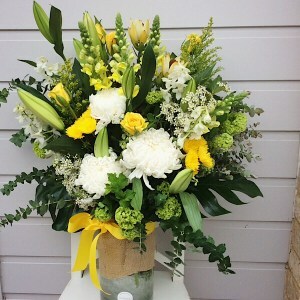 All of our florists are highly skilled in this style and love to flex their floristry muscles. 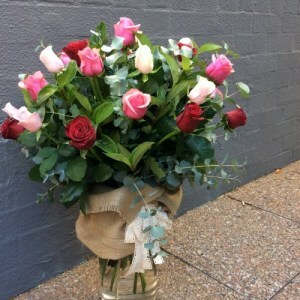 The recipient also has a vase to keep for future flowers. 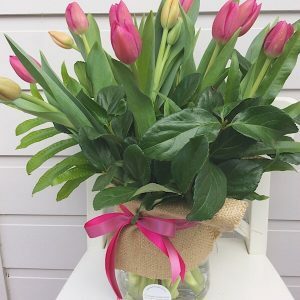 We make each of our vases in the style and colour theme that you have chosen but please note that every vase arrangement we make is unique as we allow for seasonal shifts in flower availability. 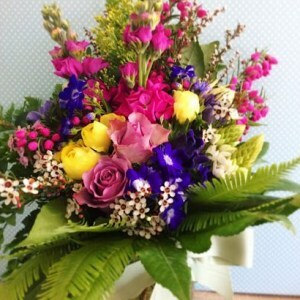 The images we show are to give you an idea of the style.